Think tables of data have no place in a presentation? Think again! 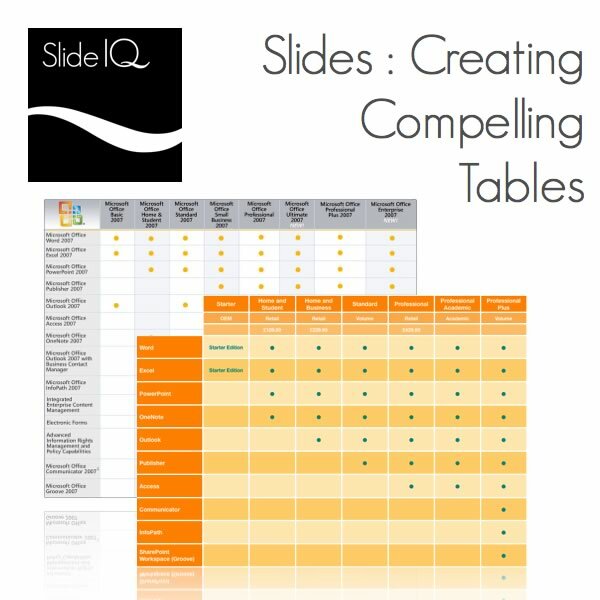 Carefully crafted tables can be the best way to present information in a presentation, supporting your reasoning and making your data compelling. Let slide expert Elaine Giles guide you through the minefield of creating compelling tables and selling your message effectively.